Summer is arguably the most satisfying time of year for the gardener. Gone are the worries of an impending frost. Departed are spring’s gray skies and torrential downpours. Sunshine is plentiful, the soil is warm and everything wants to grow, grow, grow! And, this year, more than ever, bulbs are sure to be the shining star of the summer garden. Typically, when bulbs are mentioned, folks conjure up visions of spring blooming types like tulips, daffodils and hyacinths. There is, however, an amazingly long list of summer bloomers that provide an unmatched range of color, form and texture in the landscape, right at the height of the growing season. These beauties bloom like gang busterall summer long and into the warmth of early autumn. Most summer flowering bulbs (rhizomes, tubers, corms) are spring planted, after the last frost in cooler climates. There are a couple exceptions like Alliums, which are planted in the fall, and Hybrid Lilies, planted in either the fall or spring. Also, many but not all, summer bulbs are tender. Tender bulbs should either be dug immediately before or after the first frost and stored for the winter, or you may simply replace them following year. With a number of these bulbs being exceptionally affordable, they lend themselves to be purchased and planted anew each season. There are so many amazing Allium varieties that it is hard to choose just a few. Small or tall, Alliums always stand out in the garden. 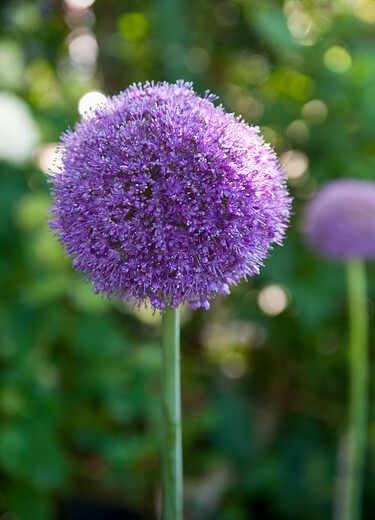 These other-worldly bulbs are winter hardy and planted in the fall. Some varieties are spring blooming, some are summer and fall blooming. 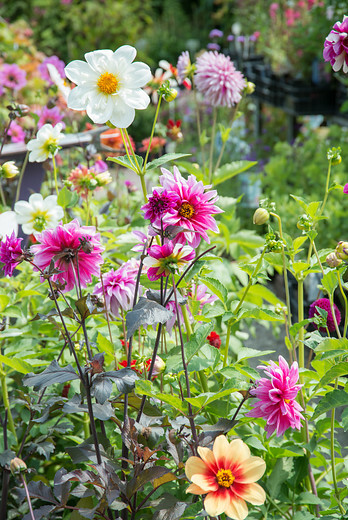 Selecting carefully can give you a whole growing season’s worth of blooms. Alliums are an unusual and long lasting cut flower. Tuberous begonias add color to the shadier areas of the garden. Available in both cascading and upright forms, these beauties look fantastic in hanging baskets and in just about any type of container. Make certain, however, that your container is well drained. Begonias like their soil moist but not wet. 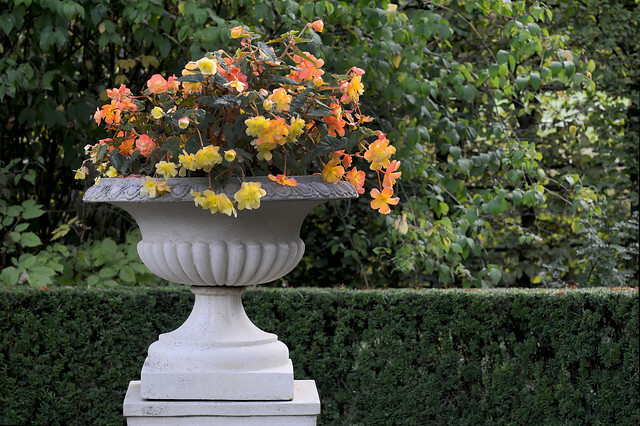 It can take up to three months for tuberous begonias to bloom after planting. In cooler climates, start them inside, as soon as you are able, to get a jump start on the season. If saving, dig tubers before the first frost and store for the winter. 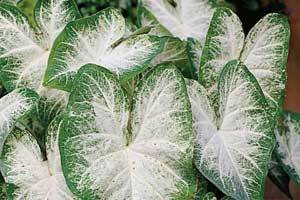 Another shade loving plant, Caladium is grown primarily for its colorful foliage. Caladiums make a bright, unique and stunning addition to darker sections of the garden with their mottled, heart shaped leaves in green, pink, red and white. In the deep South, mulch your Caladium deeply to get them through the winter. In the North, dig and store before the first frost. 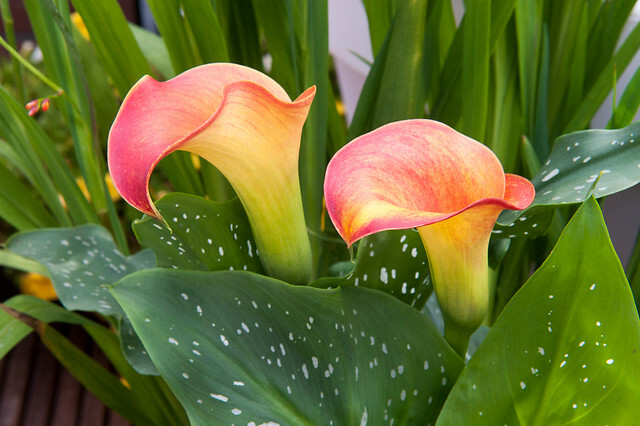 Trumpet shaped Calla Lilies add a bit of elegance to the garden. These beauties make exceptional, long-lasting, colorful cut flowers for summer arrangements and bouquets. Plant Callas in full sun, part shade in very warm climates. Keep your soil evenly moist. Dig after the first frost to store for the winter. For callas grown in pots, simply cease watering, bring the pots indoors to overwinter. Take them back outside and resume watering the following spring after the last frost. Tall or short varieties alike give the garden a tropical feel with their oversized, banana-like leaves. These narrow, stiff, vertical plants are available in a variety of hot colored blooms, some with flamboyant striped foliage. 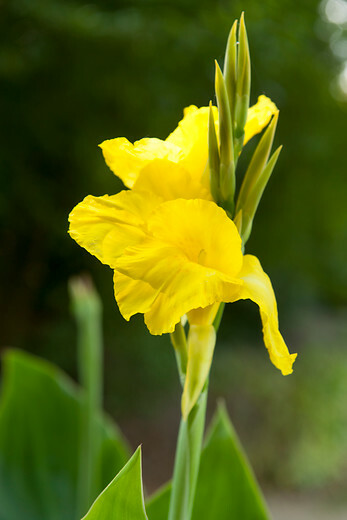 Cannas grow their best in full sun and may winter in the ground in hardiness zones 8 and above. In cooler climates, dig and store after a killing frost. What can we say about Dahlias? Dahlias are the superstar of the summer garden and they never fail to steal the show. 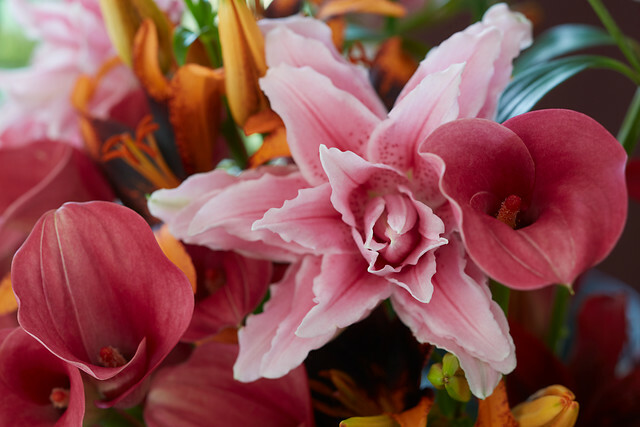 Available in oh-so-many sizes, bloom types and colors, the choice is nearly limitless. if we could grow just one type of summer flowering bulb, it would be Dahlia. In the North, plant tubers in warm soil after all danger of frost has passed. Shorter varieties may be grown in pots. These brilliant beauties will bloom their magnificent heads off until hit with a heavy frost after which the tubers are dug and stored for the winter. Tubers may be overwintered in the South with the addition of a thick layer of mulch but they must be lifted and divided every two years. Dahlias are, by far, the most diversified and colorful cut flower for summer bouquets. Planting and growing Gladiolus is so very simple and downright cheap! This dramatic plant is distinctly upright with numerous blooms, opening from the bottom up to the tip of the flower stalk. The tall, narrow, sword- like form and foliage of this colorful corm makes it is easy to tuck a few in numerous spots around the landscape. 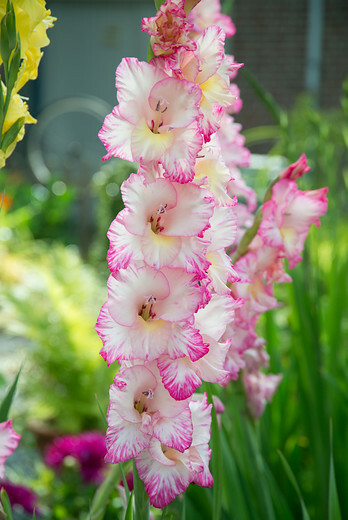 Gladioli are available in just about every color under the sun. Some sport bicolor flowers as well and all are excellent for cutting! The corm is not winter hardy so just replant next spring. 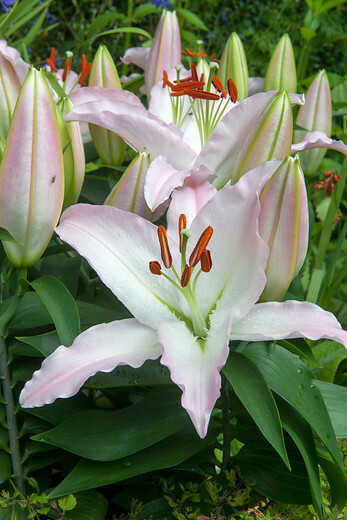 Hybrid Lilies are winter hardy and may be planted in either the fall or spring. No need to lift these bulbs in colder climates. Some are highly fragrant and all varieties make excellent cut flowers. We love introducing you to the most popular summer flowering bulbs, but, make no mistake, this in not all there is. There is an equally long list of unusual summer bloomers that we are anxious to share with you as well.